Buying a boat is a big decision. One of the most important steps is choosing a brokerage company you can trust. With over 30 years in the yacht sales industry, our experienced sales and support team will guide you through every stage of the buying process. Our yacht brokers are life-long boaters with an in-depth understanding of all types of vessels. We will address the important questions to help you determine if the type of boat you have in mind is right for you and if it represents a good value. We will then narrow down a list of boats matching your criteria using a comprehensive international database. With our internal industry resources, we can access the sales history, length of time on the market, motivation of the current owner, and other recent sales for thousands of yachts around the world. We will help broaden your selection while using our expertise to narrow the right boat for you. We will arrange all showings and will be present at each one to answer any questions on concerns that arise. 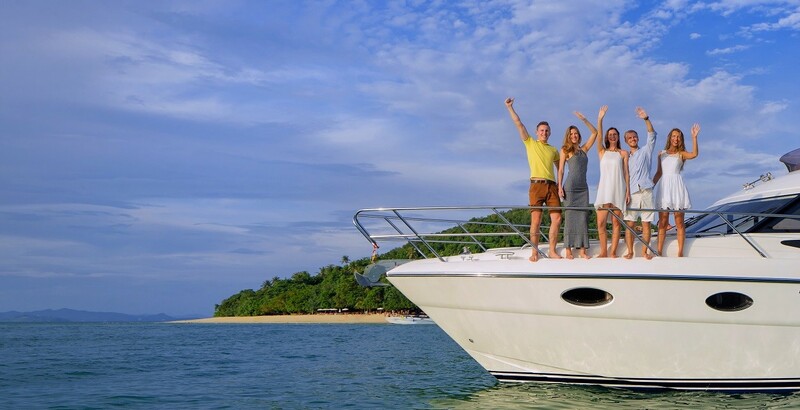 Once you've selected the boat, we will help you come to a realistic and feasible offer, one that increases the chances of buying the vessel for a reasonable price. Once the offer is presented and the terms of the sale have been agreed to, a good-faith deposit is made, subject to a satisfactory sea trial and survey. We will be present during the Survey and Sea Trial stage to help put into context any survey issues that arise as well as estimate the time and costs associated with fixing them. We also can suggest trusted professionals to carry out any maintenance needed. By having a knowledgeable and experienced broker on your side, your best interest will always come first. We will handle U.S. Coast Guard Documentation, State Registry, extended warranties, financing, insurance, delivery, training, and maintenance, making the closing process as hassle free as possible. We have excellent working relationships with highly skilled yachting professionals and will connect you only with the best shipyards, designers, surveyors, maritime lawyers, captains and more. We will be present long after the closing to ensure you have everything you need to enjoy your new boat. Buying a yacht with SYS Yacht Sales means becoming a member of our yachting community. Our brokers are lifetime boaters who are passionate about cultivating life-long relationships with their clients. Join SYS on our annual cruising rendezvous and family get-togethers and enjoy quality relationships through the joy of boating! We are consultants, friends and passionate boaters. Contact us today! We are eager to apply our expertise to find the perfect yacht that suits your needs.